Enjoy “Fall in the Country” at a working family farm. 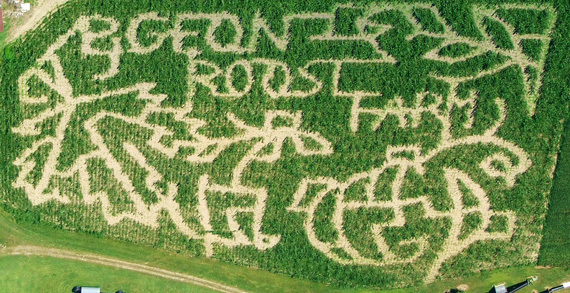 Pigeon Roost Farm is in it’s 37th year and still growing! 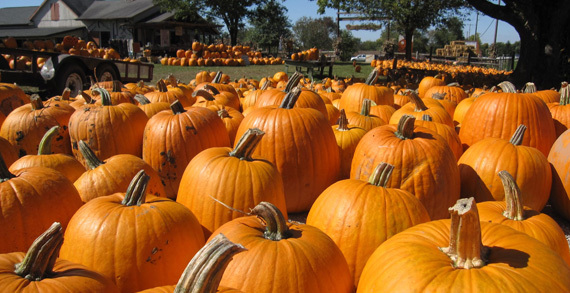 Search thousands of pumpkins for the perfect Jack-O- Lantern. Fall produce includes beautiful heritage squash, and many types of edible winter squash. 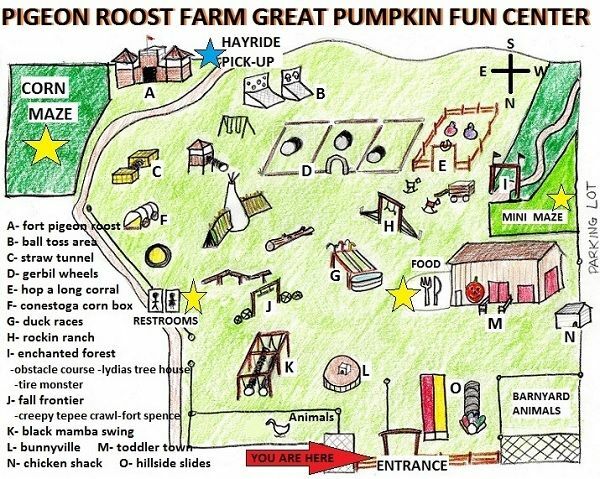 “Kids” of all ages will love the “Great Pumpkin Fun Center” with slides, corn box, giant sandbox, the “Enchanted Forest”, giant “Gerbil Wheels”, Corn Maze, and a Soybean Maze for the wee ones. The best part of the farm is always the friendly Barnyard Animals—goats, chickens, turkeys, rabbits, sheep, and others. Browse 8 shops with Fall Gifts, Crafts, Halloween costumes, jams, snacks, honey. 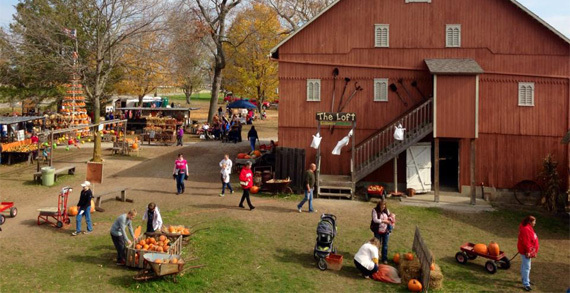 Delicious Food, including fresh pumpkin donuts, narrated Wagon Rides, and face painting are available on Weekends. See website to schedule Birthday parties and Group Events of all sizes. Open Tuesday-Sunday 10am-7pm; Closed Mondays. Located on Historic U.S. Route 40, just 12 miles East of Reynoldsburg.